If you’re new to Istanbul, chances are you are going to be spending time in the Old City, a.k.a. the Sultanahmet neighborhood. Sultanahmet is located in the Fatih district of Istanbul, on the southeast coast of the European side. 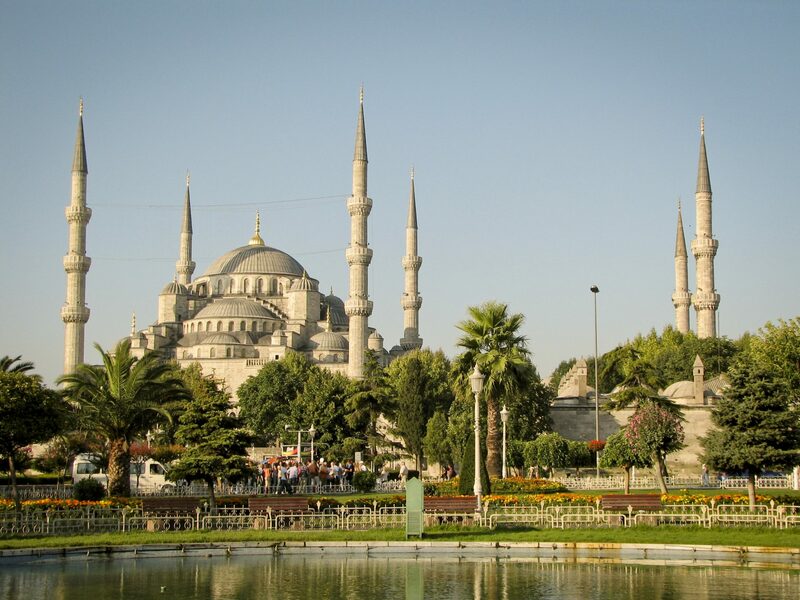 Sultanahmet is the oldest part of Istanbul, and was historically known as Constantinople and Byzantium. 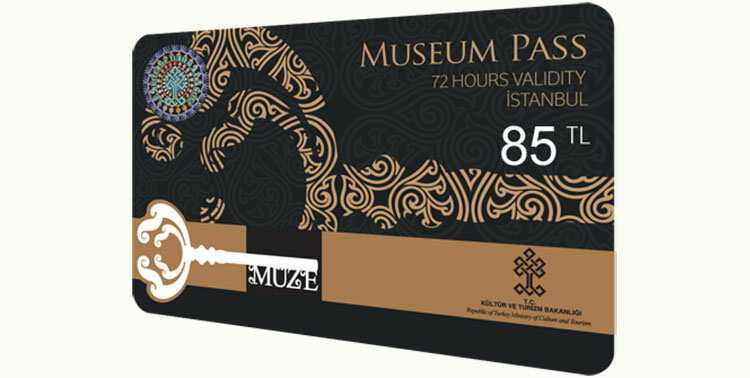 Before you get started on your neighborhood exploration, you should take the time to get an Istanbul Museum Pass. With the pass you can also get significant discounts (10-20%+) on other sites of interest. A full list is available here. When I visited Istanbul, the pass was 85 Turkish Lira, or about $14.50. Definitely a worthy purchase! I’m not going to lie, I was first introduced to the Hagia Sophia through a Star Wars Episode I movie guide that pointed out the inspiration for Theed, the capital of Naboo. My interest fanned into flames after reading about the history of Empress Theodora and Byzantium. This incredible building is over 1000 years old, and has been used for a myriad of important functions, from cathedral to mosque to museum. The exquisite architecture is only surpassed by the extremely important message and practice of religious tolerance. And, there’s a cat that lives inside that’s friends with all of the museum security. What’s not to love? 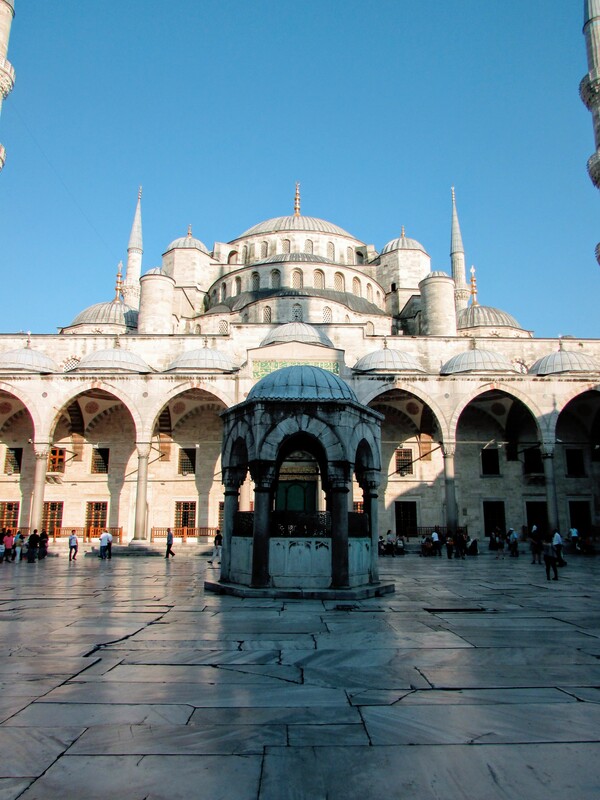 You don’t need an Istanbul Museum Pass to visit the Blue Mosque, entry is free. You do need to keep a flexible schedule, just in case you try to get when the Mosque is closed for prayer. The Mosque is closed 45 minutes before and 30 minutes after each prayer, which ends up being a significant portion of the day. 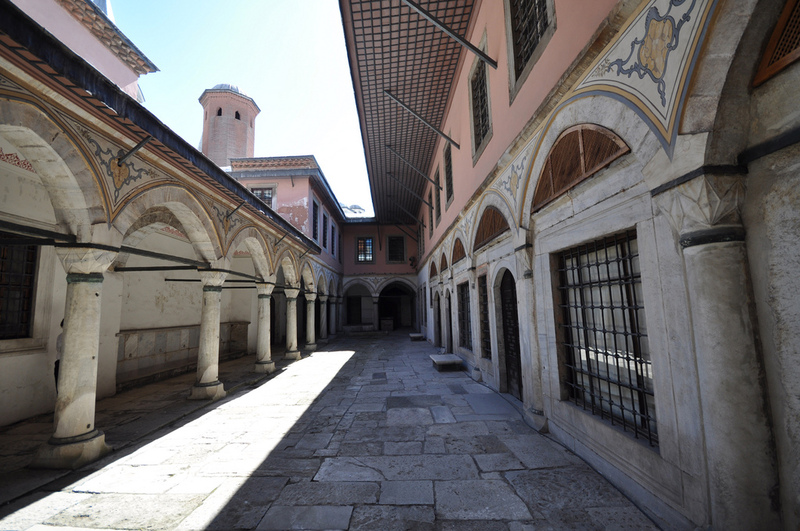 If you accidentally come during a time of prayer, you can still look around the gorgeous courtyard and read the numerous informative signs on Muslim culture. 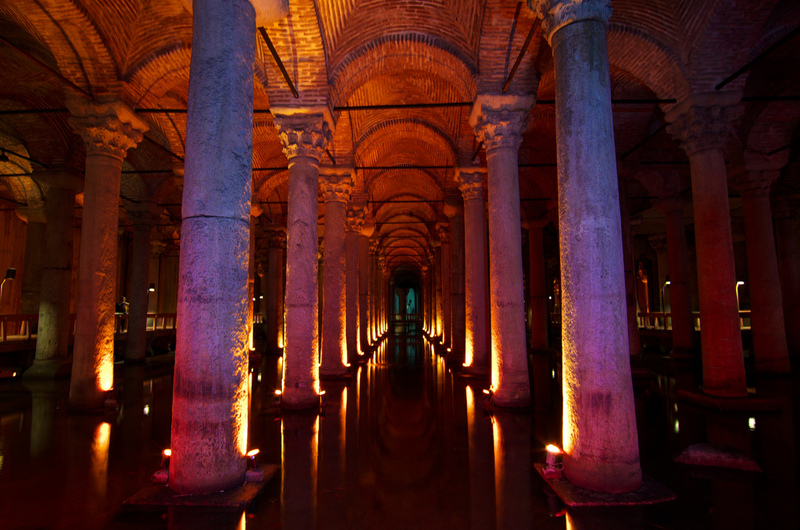 This ancient site provided clean water to the old city including the Topkapi Palace and Hagia Sophia for centuries. There was even an underground garden at one point. The spooky ambient music and puzzling statue placement makes the Cistern a one of a kind experience. If you’re a Bond fan, you might recognize the site from the movie From Russia With Love. Also commonly known as the Seraglio, the Topkapi Palace is most famously known for being the site of the Ottoman sultan’s harems for over 400 years. The Palace also has an extensive collection of Turkish and Ottoman art and artifacts. The elaborate architecture and interiors I’m seeing in the pictures are making me furious at myself for missing it! Maybe next time. The collection features a beautiful assortment of calligraphy, tilework, textiles, woodwork, metalwork, and important religious texts and Qorans. If you’re a fan of pattern and surface design you absolutely have to visit! Everything you imagine when you think of Istanbul and Turkey is for sale here, and most likely the shopkeepers will invite you in for a cup of tea. It’s not technically in Sultanahmet, but it would be silly not to spend an afternoon there. 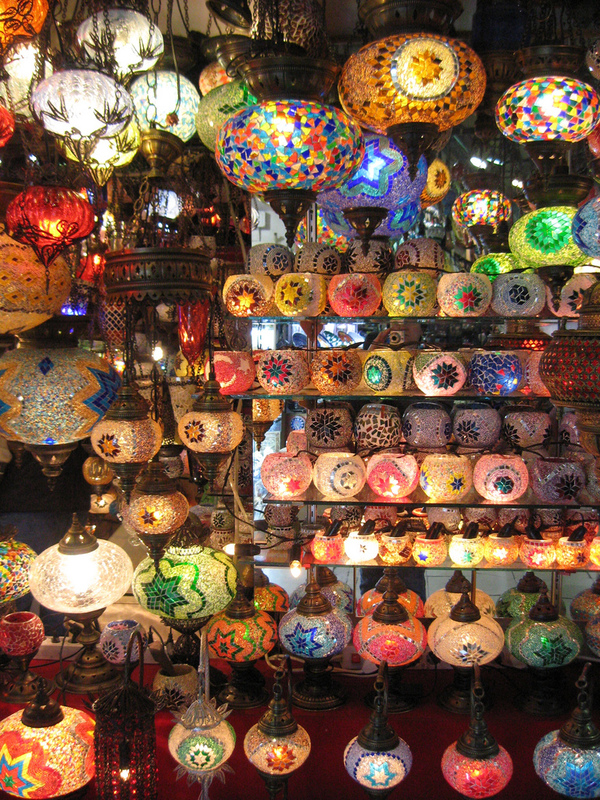 I’m going to write an in depth post about shopping in the Grand Bazaar, so stay tuned! 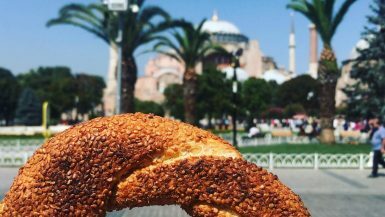 If you’re hungry and just want a quick bite, check out my guide to street food in Istanbul. Otherwise, here are a few spots you can check out for food. This restaurant is famous for their recreation of authentic Ottoman palace cuisine. A friendly cafe with homemade Turkish Delight, Turkish coffee, and baklava.